Over the past couple of months, the tech world has become fascinated with live video broadcasts. 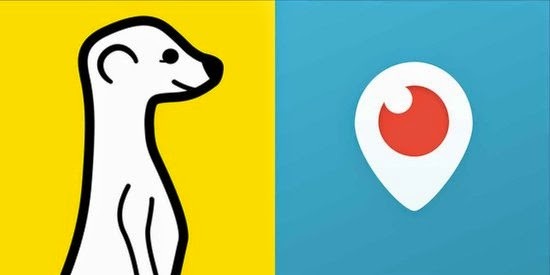 Meerkat was the new live broadcast sensation until Twitter acquired and re-launched a competing app, Periscope. Since then, some tech observers have devoted themselves to tracking every detail of the competition between them. In my opinion, there are other facets here that may be far more interesting. Both Meerkat and Periscope leverage smartphone cameras to broadcast live video. However, the apps themselves don't play a major role in the discovery of these broadcasts. This may be because they are too specialized to generate sustained engagement, at least enough to be a discovery platform (most app users are likely to be broadcasters). Also, it is relatively easy to replicate the feature set and user experience of a Meerkat or a Periscope, but it is very difficult to enable discovery. Therefore, these apps are not products in their own right, but just features built on top of broadcast-oriented social platforms, i.e. those that facilitate one-to-many communication (e.g. Twitter). On a standalone basis, these apps have a limited shelf life -- they could either be acquired by social platforms that fit the description above or be killed by them. Therefore, it isn't surprising that Meerkat found viral success by leveraging Twitter's social graph. Any incumbent's response in this situation would be to build or acquire a similar feature set. Twitter chose to acquire. Periscope didn't have any competitive advantage by itself (a replay feature isn't very compelling compared to on-demand video on YouTube/Facebook). However, Twitter's ownership of both the live broadcast feature and the discovery platform gives it an unassailable advantage over Meerkat. This means the future of Meerkat as an independent product/company and the result of its competition with Periscope is easy to predict (and not very interesting). The only interesting discussion we can have about Meerkat relates to its eventual acquirer. As I hinted on the Analyse Asia podcast, Meerkat's acquirer will need a unique kind of social platform to avoid transforming it into a glorified video chat feature. The only thing that differentiates group video chats from live video broadcasts is the nature of viewers. People chat with other people they know, they broadcast to people they don't know. As a result, Meerkat will be handicapped on all platforms where the nature of social connections is symmetric and reciprocal. This means that Meerkat is only valuable to platforms that are built on asymmetric social connections (other than Twitter). This severely limits the pool of potential acquirers. Off the top of my head, I can only think of two companies where Meerkat could be a reasonable, if not good, fit -- Yahoo! and BuzzFeed. They're not quite social networks, but they do check a few boxes. Both have considerable engagement on their media properties and skew towards one-to-many connections thanks to their writers. Could acquiring Meerkat be a valuable way for them to increase engagement and introduce more social elements to their media businesses?